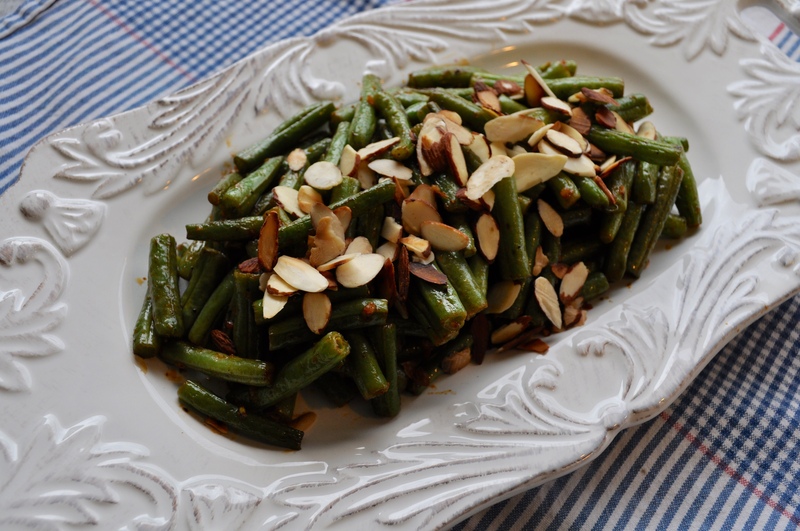 Sautéed Green Beans with Smoked Paprika and Almonds – Got Nourishment? It’s official, I’m obsessed with my America’s Test Kitchen Vegetarian cookbook. Every recipe so far has been a success. It’s been a while since my last post! I started a new job, which has been consuming my energy, but I think it’s time to get back to it! A busy schedule calls for quick and easy recipes. This one fits both of those categories. The original recipe was Sautéed Green Beans with Garlic and Herbs, but my stomach was drawn to the smoked paprika and almonds variation. If you haven’t used smoked paprika before, you really must try it! According to TheKitchn blog, “it’s made from pimiento peppers that have been dried and smoked over an oak fire, then ground into a fine powder.” The rich, smoky scent is enough to get any taste buds excited. Not only is this recipe easy and delicious, but it’s also quite nutritious! This vegetable side dish had me going back for thirds. An excellent way to get a serving or two of vegetables in if I do say so myself! One topic I want to briefly talk about is nutrient retention when cooking vegetables. Do you roast, sauté, boil, steam, or grill your veggies? The options are endless! In order to get the most nutrients out of your vegetables, you have to think about how you cook them. For example, if you boil your vegetables in water, some of the water-soluble vitamins will leach out of the vegetables and into the water. Unless you drink or use the cooking water in another dish, all of those vitamins will go down the drain. Steaming is a better option because the vegetables don’t actually sit in water. Likewise, roasting, sautéing, grilling, or even microwaving your veggies won’t cause as much nutrient loss because the vitamins don’t have anywhere to go! Trying to cut down on added fats? Use an oil spray (I like using my Misto filled with light olive oil) to give your vegetables a light dusting instead of drenching them in oil or butter. One more comment and then I will let you get on to this mouth-watering recipe! Frozen veggies are an excellent alternative to fresh. Fresh vegetables often steal the spotlight when it comes to the health-conscience eaters, but frozen veggies actually may have a higher nutrient content. 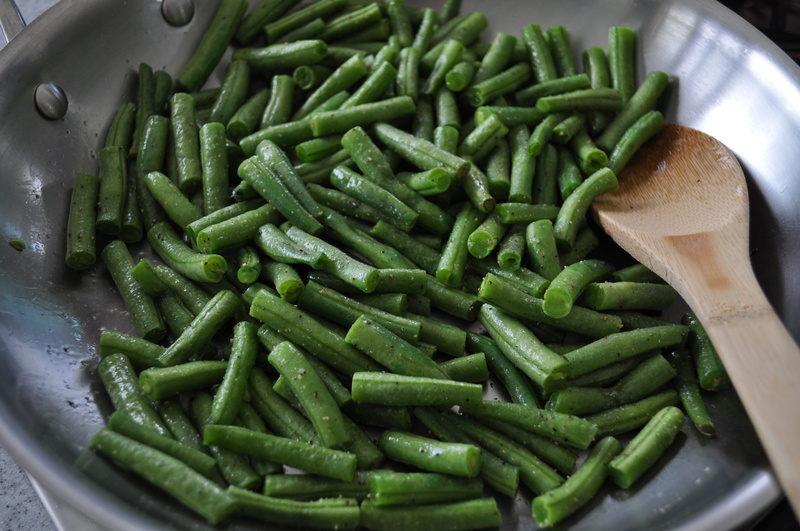 This is due to the fact that frozen vegetables are blanched or steamed and flash-frozen at peak ripeness. Fresh vegetables that you buy in the grocery store have most likely been harvested, stored, shipped, and then stored again in the store until purchased. During this time, the vegetables are losing nutrients the longer they sit. The same goes for fruit! You have my two cents, now get your sauté on and enjoy! 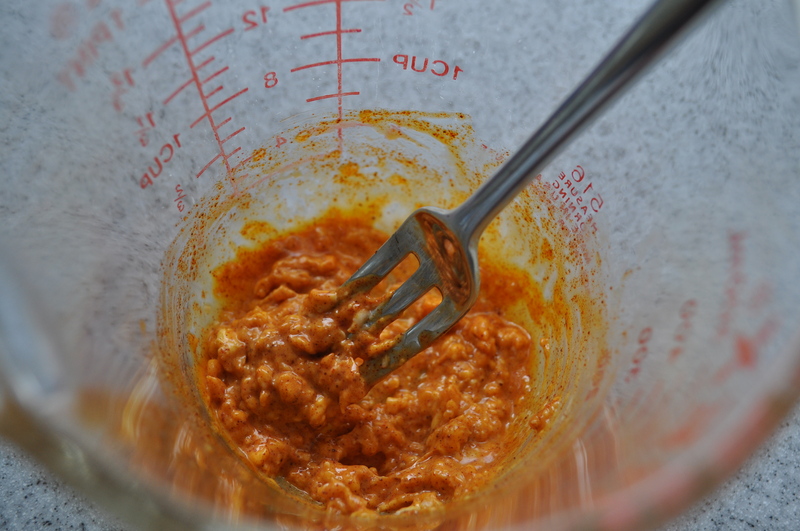 Butter, garlic, and smoked paprika mixture. Smells heavenly! I don’t know about you, but I love the sound of sizzling veg on a hot pan. Make sure to watch your almonds closely! Once they start to brown, it will happen fast! Voila! Super easy and makes for an excellent presentation. Combine butter, garlic, and smoked paprika in bowl. I used a fork to combine. Heat the oil in a 12-inch nonstick skillet over medium heat. Add beans, 1/4 teaspoon salt, and 1/8 teaspoon pepper. Cook, stirring occasionally, about 4 to 6 minutes. Your beans should start to develop char marks on their sides. Add water, cover, and cook about 2 minutes. Uncover, increase heat to high, and cook about 30 to 60 seconds more. Add butter mixture and cook, stirring often, about 1 to 3 minutes. Pull skillet off burner and stir in lemon juice. Season with salt and pepper to taste. 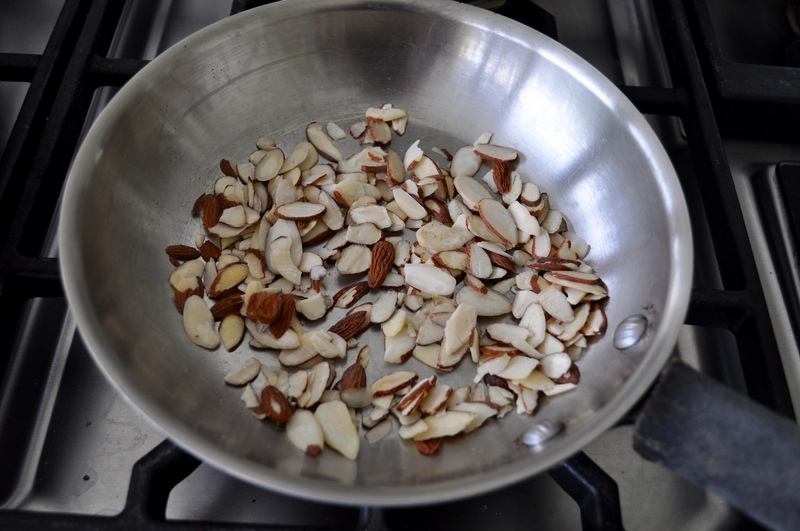 Top with toasted almonds.